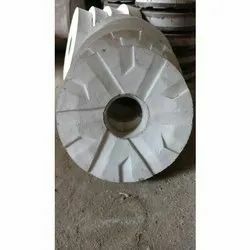 We, very well understand the importance of millstone in a grinding mill and thus manufacture these stones with the most advanced and innovative technology present in the industry. Flour ground on stone mills contains all the natural vitamins, minerals, and ballast substance. Made from a natural mineral. Maximize the grinding capacity of Mill. 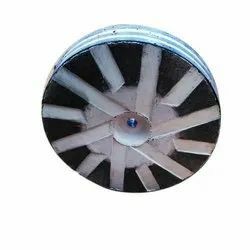 This type of millstone finds wide application in many kinds of grain grinding mills. Leveraging on our wide industrial expertise and skills, we are counted amongst the top most manufacturers of ENGSKO type Horizontal MILLSTONE. The stone is benevolently manufactured at our state of the art production unit under the strict supervision of our senior most professionals who have immense experience in this sector. All the stones are assured to be in compliance with the industrial predefined norms and parameters. Based on different grinding requirements, we make available these emery stones in the wide range of diameter sizes. These Millstones are widely used in EUROPA type Horizontal Grain Mills to ensure uniform grinding of wheat, maize, spices, herbs and other materials. Looking for Flour Mill Stone ?